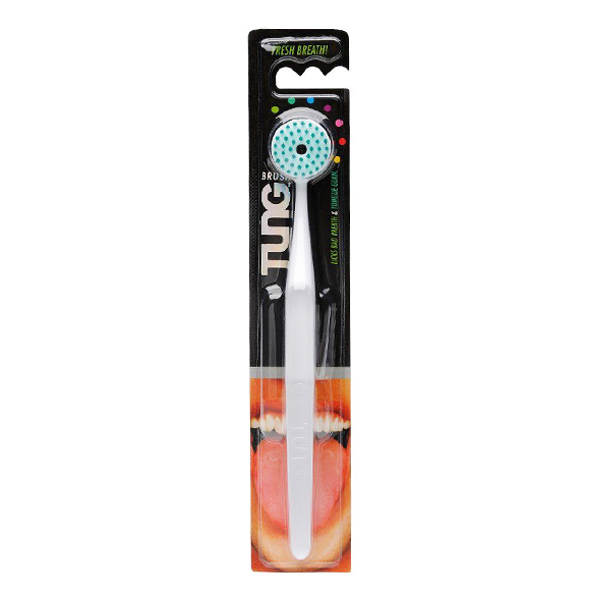 Tung-Brush is a unique and highly functional oral-hygiene device designed specifically to loosen and remove odor-causing bacteria and debris from the surface of the tongue, to help eliminate bad breath (halitosis). ï¿½ Short bristles create a lower profile for comfortable cleaning, even at the back of the tongue. ï¿½ Large, round head distributes bristles evenly for quick, effective cleaning of the entire tongue surface. ï¿½ Firm bristles for thorough cleaning of the soft, irregular surface of the tongue. ï¿½ Dentists and hygienists now recommend tongue cleaning as an essential part of complete oral care.